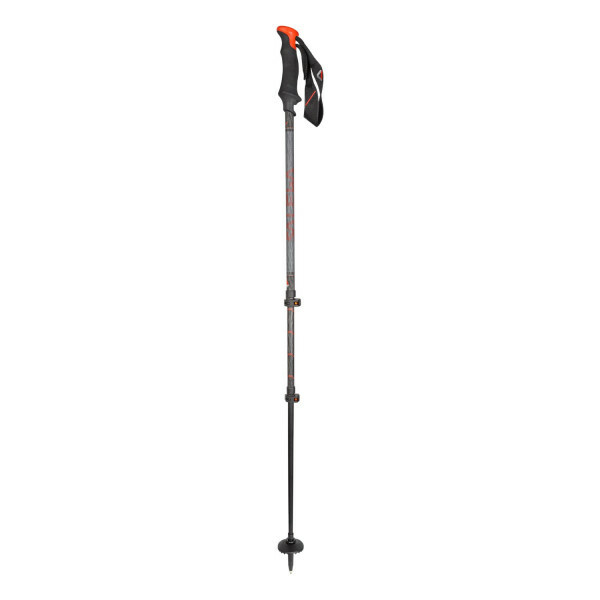 A lightweight, compact and robust folding pole for high-speed mountain sports. The Carbonium Tour is versatile, comfortable, 3-piece carbon telescopic trekking pole for all alpine adventures. Its bottom section is made from high-strength aluminium to cope with rocks and scree. At the handle, the ergonomic dual-component EVA foam and plastic grip allow a range of positions in uneven terrain. And the carbon-reinforced Powerlock system ensures reliable locking and fast adjustment. It also compacts down well to fit in your backpack.